Planning a Walt Disney World vacation can be confusing. Throw in the complexities of the many varied military discounts and it can become downright perplexing! For years military families have been looking for a single resource to help with their Walt Disney World Vacation planning. You will find just that in Walt Disney World for Military Families 2019. All the research has been done for you! This is the first ever Walt Disney World Guidebook written specifically for the US military community! 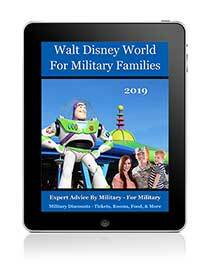 In this detailed comprehensive full length guide, Disney military expert Steve Bell will share all the information gained over the years of covering everything military about Disney World. 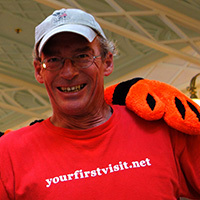 Steve is the founder of the hugely popular MilitaryDisneyTips.com website, the internet’s only website dedicated to information about Disney Military Discounts. His firsthand experience using these discounts will ENSURE that you will know all that you need to know in order to save as much as possible and have the relaxing stress-free vacation that you deserve. 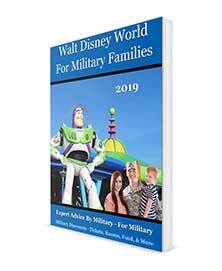 If you are Military and planning to visit Walt Disney World, then Walt Disney World for Military Families 2019 is a must have! Military information about discounts on WDW’s Halloween and Christmas Parties and the Little Known Military Access to Sold Out Nights! Updated Spring 2019 – Totally updated with all the most recent information! In addition to all the great military information in the book, you’ll also find tons of general public information on the theme parks, resorts and hotels, water parks and everything else to do at Walt Disney World, plus a section of tips and theme park dos and don’ts gained in over 40 years’ experience touring Walt Disney World. This is the perfect investment for those wishing to plan a special get away from the stresses of military life! 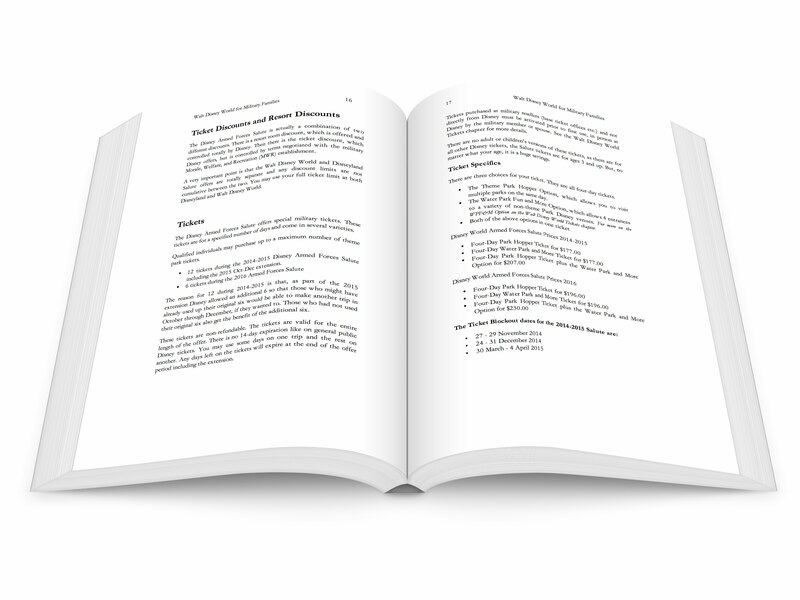 The book is available in multiple formats to suit your reading preferences, including both print and Kindle (available from Amazon.com) and a PDF eBook version with color photos (downloadable from this site). Walt Disney World for Military Families is your single resource for all of the information available on Disney Military Discounts. It even includes information that Disney won’t tell you! You’ll find out how to have the best vacation possible at the best price! We recently returned from our WDW vacation. There was 17 of us (my family/grandkids & my brother’s family/grandkids). Needless to say…….It took some planning! I received Steve’s book for Christmas of 2017… I just wanted to say thank you for all of your help and insight! Your book is wonderful, and all of your tips/suggestions are very much appreciated. With all the technology and WDW constantly changing, I really don’t know how people can plan or go there without an expert’s help! So, to anyone thinking of planning a Disney vacation, especially Military……….read everything Steve puts out! – Jennifer H.
Steve Bell has been writing about Shades of Green, Military Discounts for Disney World and Disneyland for many years. He is your host at the Military Disney Tips website, the internet’s #1 Site for Disney Military Discounts. He is part of the military family and has used these discounts himself for many years. Steve and Military Disney Tips have been recommended and quoted by many Disney and Military Focused sites and publications, including Stars and Stripes, Military Times (Army, Navy, Air Force, & Marine Corps Times) Off Duty Sections (print & online), Reserve & National Guard Magazine, the Orange County Register, Military One Click, Army Wife 101, USMC Life, TouringPlans.com, YourFirstVisit.net, The Disney Tourist Blog, and Chip & Company. 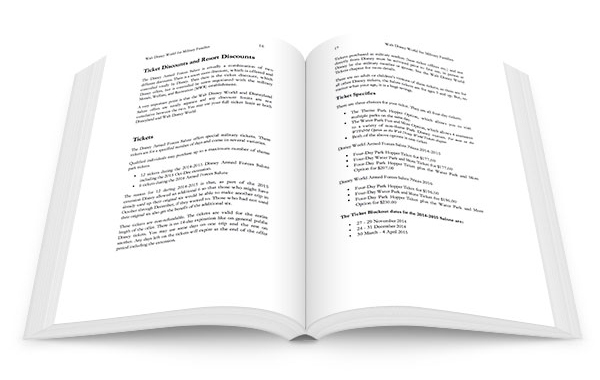 I really hope that this book will truly help you with your Disney vacation planning and that your family enjoys your Disney vacation as much as our family enjoys all of ours! To keep the conversation going and keep up to date please visit MilitaryDisneyTips.com.